The Agreement On Services Supply and Use On The web https://higio.net (referred to as "Agreement") is the legal agreement between FPT International Telecom Company Limited (referred to as "FPT") and the customers using service on https://higio.net (referred to as "Users"). In order to access and use the services on https://higio.net (referred to as “FPT HI GIO CLOUD”), Users shall agree and comply with these terms under this Agreement. When accessing and using FPT HI GIO CLOUD by any method (e.g. computer, cellphone, television, or any other devices connected internet), Users shall comply with this Agreement. To comply with the legal regulations, the terms herein may be updated or edited at any time without prior notice to the Users. FPT will publish such update or edition on the website, forum. Is granted the prior permission of User’s parent or User’s the legal representative to use FPT HI GIO CLOUD service in accordance with this Agreement. Users may change their account name, but the account name shall be complied with FPT’s regulations and not violated in accordance with this Agreement. Users shall register or log in to use some features of FPT HI GIO CLOUD. If Users do not register or log in, they just can use the general features. We encourage Users to register an account for using all features on FPT HI GIO CLOUD system. The website of FPT HI GIO CLOUD may include links, or references to the websites of others, these other websites are not monitored or owned by FPT. Accessing to these websites is completely risky and dangerous for Users. Users shall be responsible for all risks arising from using such websites. In no event will we be responsible or liable, directly or indirectly, to anyone for any loss or damage arising from such websites including without limitation for your use of such website and for any information submitted by you, or otherwise collected by such websites or any sites in external website of FPT HI GIO CLOUD. Take advantage of FPT HI GIO CLOUD to collect, publish information or data about the private life of other User. Name the Users according to the name of the luminaries, leaders of the Party and State, individuals, organizations relating to crime, reactionary, terrorism or having the meaning which is not wholesome or against with the traditions and customs. Prohibit the promotion of any product in any forms, including but not limited to, send, and transmit any message relating to promotion, invitation, chain letter, investment opportunity. Illegally impede, disturb, destroy the host system; hinder the information access and the use of legal website on FPT HI GIO CLOUD. Illegally use password, cryptographic key of organization or individual, private information, personal information and internet resource. Use directly or indirectly any device, software, internet website, or other means to remove, change, ignore, evade, obstruct, or destruct any copyright, trademark, or other signs of proprietary rights, which are marked on the content (for instance, logo) or any other data control systems, devices, content protection method, as well as measures of access limitation from the different geographical regions. Directly or indirectly, through any device, software, internet website, or other means to copy, download, capture, reproduce, duplicate, store, distribute, upload, publish, modify, translate, broadcast, presentation, display, sell, transmit or retransmit the content. Produce, reproduce, distribute or advertise a part or all of any content without FPT’s consent. User is not allowed to build the business model, which use the content, whether it makes a profit or not. The content mentioned on https://higio.net includes but not limited any text, graphics, images, layout, interface, icons, photographs, documents, audio, video and still image. In addition, we strictly prohibit from creating the derivative products or materials, which are derived from or based on any content including montages, making of similar video, wallpaper, computer theme, greeting card, and commodities. Counterfeit other organization, individual and spread the false information on the website https://higio.net, which violates the legal rights and interests of such organization, individual. Creat the illegal link to the domain of other organization and individual. Create, install, spread malicious software, computer virus; illegally access, take control of information system, set up attacking tools on the Internet. Do not use any programs, tools or other means to interfere the system of FPT HI GIO CLOUD. Do not have any action to access illegally or find the ways to access illegally or damage the host system of FPT. Users are solely responsible for their illegal action(s) under the laws. If there is risk, damage arising from force majeures, including but not limited, electrical fire, damage of hardware, software, internet traffic incidents or natural disasters and so on, Users have to accept risks and damages (if any). FPT commits to make the best effort for reducing such risk, damage, but FPT does not take any liabilities in these cases. FPT's liability for any damage or loss which is suffered by the Users shall not exceed the total amount of the money that FPT received from Users to use FPT HI GIO CLOUD service. In the maximum permission of laws, Users agree to defend, compensate and hold harmlessly for FPT, legal entities of FPT’s subsidiary, representative directors, officers, employees and agents from and out of a part and/ or whole of, claims, actions, suits or procedure, as well as liabilities, damages, losses and costs (including attorney’s fees), araising from or relating to FPT HI GIO CLOUD use or violation under this Agreement of the Users. Right to create accounts at https://higio.net to use FPT HI GIO CLOUD service. Be kept the confidential information about account. Be kept the confidential information about Users. Comply with regulations under this Agreement and the relevant regulations of laws. Take responsibilities for content which is storage, provided, spreaded on FPT HI GIO CLOUD website, spreaded through any direct links established by Users. Be responsible for keeping the confidential information about account, if such information is disclosed by any ways, Users shall be responsible for the incurred risks. FPT will base on the existing information in your account to decide the account holders if there is the dispute and FPT shall not be responsible for any incurred damages. Users agree to immediately notify to FPT about any case to use illegally Users’s account and passwords or have any action about breaking up the security system. Users are fully responsible for keeping the confidential information about username and password. For reasons of privacy and prevention of the unauthorized access, Users shall log out of our website in accordance with the procedure after each time of use. In all cases, FPT shall not be responsible for any damages or losses of any arising problems and/or impact by the Users and/or result of access and/or use FPT HI GIO CLOUD service illegally of the third party. Users may be fined for the administrative violations, prosecuted for criminal liabilities if Users infringe the copyright, related rights regarding to use of this FPT HI GIO CLOUD website. Users shall comply with the prohibited actions; exchange content, provided information which is stipulated in this Agreement. Comply with the other rights and obiligations under the laws. Provide the information of Users in case that there is a request of the competent authorities. Apply the sanctions stipulated under this Agreement. Take responsibilities for supporting the account holders in the process of using FPT HI GIO CLOUD service. Take responsibilities for ensuring the confidential private information, personal information of Users, inform Users about the rights, obiligations and risks when storing, exchanging and sharing their information online. Ensure the right of the Users to allow their personal information to be provided to other organizations, enterprises and individuals. Receive and resolve the complaints of customers during the period of FPT HI GIO CLOUD service usage, however, FPT only support, receive and settle such complaints for the registered accounts with full, true and accurate information. In the course of using the FPT HI GIO CLOUD of FPT, FPT might ask User to provide us with certain personally identifiable information that can be used to contact or identify you (“Personal Information”). Personal Information may include, but is not limited to, your name, country of residence, email address and website address. When Users use the FPT HI GIO CLOUD (whether such use is performed on the computer, laptop, telephone, Internet TV, on the Website or on a website of one of our partners or other third parties), FPT collects information regarding User’s use on the websites, and information that your browser sends whenever you visit a site or online service, including, without limitation, your computer's Internet Protocol (IP) address, browser type, the web page you were visiting before, and information for which you search. 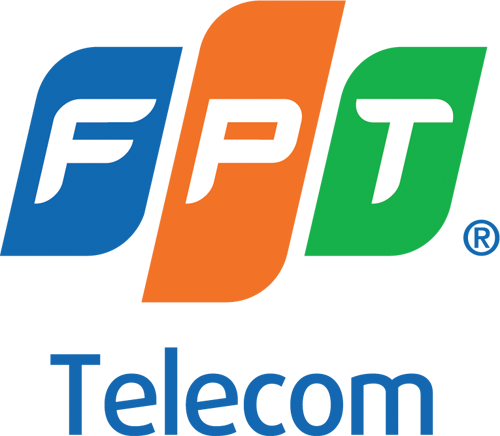 When Users use a widget or any other tool offered by FPT, whether on the computer, laptop, telephone, Internet TV, on the Site or on a third party website, including a website owned or operated by Users, FPT may record data related to that activity, the deployment of the widget or tool and any other account related data. Like many websites, FPT use “cookies” to collect information. A cookie is a small data file that FPT transfer to your computer's hard disk for record-keeping purposes. You can instruct your browser, by changing its options, to stop accepting cookies or to prompt you before accepting a cookie from the website you visit. If you do not accept cookies, however, you may not be able to use all portions of the webite or all functionality of the Fshare. FPT may present links in a format that enables FPT to keep track of whether these links have been followed. FPT are concerned with safeguarding your information. FPT employs a variety of safety measures designed to protect your information from unauthorized access and disclosure. However, FPT cannot guarantee that your personal information or private communications will always remain private and secure. Your information may be processed or transferred outside of Vietnam, where the privacy laws may not be as protective as those in Vietnamese jurisdiction. FPT reserve the right to disclose any information obtained by FPT, including but not limited to Personal Information and Non Personally Identifiable Information, (i) if required by law or by any governmental authority; or (ii) in case of emergency; or (iii) to a successor entity in connection with a merger, acquisition, bankruptcy or sale of all or substantially all of FPT’s assets. FPT reserves the right to modify the website without prior notice, and the Agreement shall govern the use of FPT HI GIO CLOUD, at any time, including but not limited to, charges about access and/or use of FPT HI GIO CLOUD service. FPT also reserve the right to terminate any or a part of the FPT HI GIO CLOUD’s application cautiously at any time without prior notice. b. The failure of either party to exercise or enforce any right or provision of this Agreement does not constitute a waiver of such right or provision or affect to the validity of a part or entire of the Agreement. The provisions of this Agreement are independent of and severable from each other. If any provision is found to be invalid or unenforceable for any reason, that provision shall be deemed modified to the extent necessary to make it valid and operative, or if it cannot be so modified, eliminated, and the remainder of the Agreement shall continue in full force and effect as if this Agreement had been signed with the invalid portion so modified or eliminated. Users waive trial by jury in any action between both parties. This Agreement and the relationship between Users and FPT under this Agreement shall be governed by the Vietnamese laws. Users and FPT agree to choose the International Arbitration Centre Vietnam (VIAC), under its Commercial Arbitration Rules to settle any dispute arising out of this Agreement. This Agreement shall be binding on Users from the time that User agrees this Agreement when registering its account.